Clever take-off of the Rubber Soul album cover! So last Friday I was fortunate enough to see yet another Beatle tribute band, 1964 the Tribute, in concert with my friend. It was sort of a spontaneous decision, but I’m glad we went because it was a really fun outing! These guys have been around for a while. They formed sometime in the 1980s, presumably with rotating members since then. Unlike some others I’ve seen, this band specializes in the material from the Beatles’ touring years (1963-1966). As such, they don’t play any of the Sgt. Pepper or Abbey Road-era stuff. However, that didn’t really bother me because they played obscure early stuff that I loved, like George’s “Don’t Bother Me” from With The Beatles and “It’s Only Love” from Help. I also loved the encore medley they did with all early Beatle covers like “Money,” “Long Tall Sally,” “Rock and Roll Music,” and “Matchbox”. Musically, I thought they sounded great. The instruments were all Beatle-accurate, and they had a lefty Paul, which is a major sticking point with me and Beatle tribute bands. 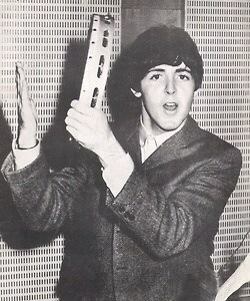 It may seem nit-picky, but for me, if the Paul guy isn’t left-handed, it just doesn’t look right and throws my impression off. So how do these guys compare to the likes of The Fab Four or The Fab Faux in terms of Beatle-tribute excellence? Well, I personally preferred the guys, looks-wise, in The Fab Four. I thought the John in 1964 The Tribute was actually the best I’ve seen; he was amazing and sounded and looked a lot like John. Honestly though, I liked the Paul, Ringo, and especially George in The Fab Four better in just about every aspect. I also don’t think 1964 was quite as instrumentally perfect as either of the other two bands. Do other Beatle tribute bands offer a more comprehensive look at the Beatles than 1964? 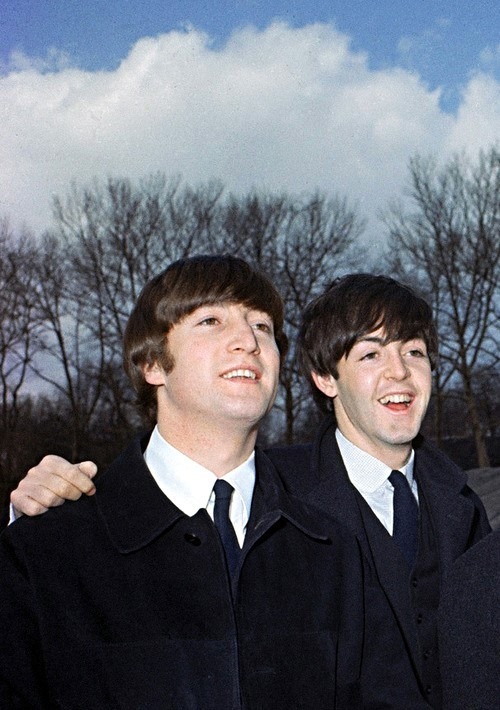 Yes; I think for pure accuracy and entertainment value, The Fab Four are still my #1 choice. 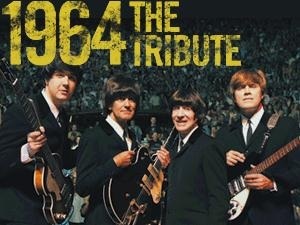 However, would I recommend 1964 The Tribute to Beatle fans? Absolutely; they definitely do the Beatles’ music and legacy justice. I really enjoyed seeing them and if they come to a nearby theater soon, I would love to see them again. That’s all for now. I hope you enjoy the start of September and thank you to anyone who regularly or occasionally reads this! I’m glad you find my endless Beatley/musical rants entertaining! Hello! The month of August always seems to fly by, doesn’t it? Before I knew it, it was August 20th and I hadn’t blogged since the first day of the month… Cue the guilt. But here I am! Today I figured I’d talk about a few things, Beatley and not, that have been going on in my life and in the world recently. 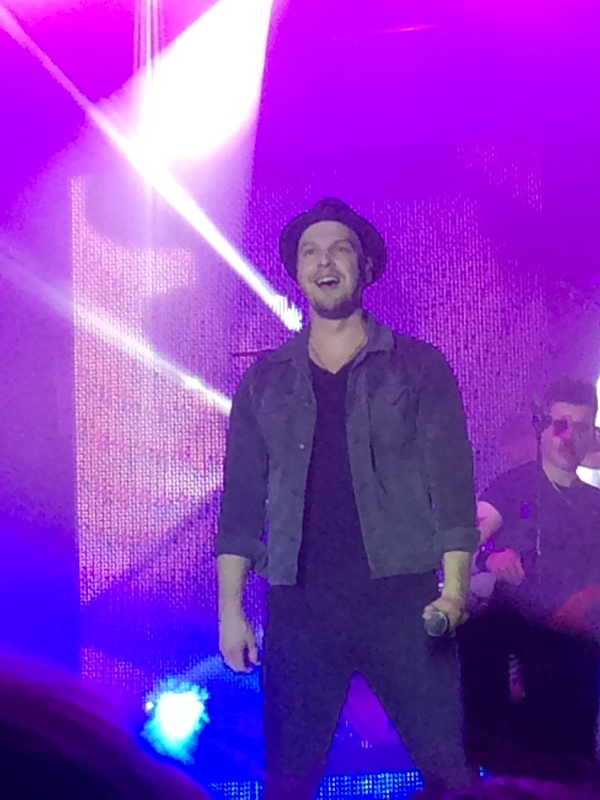 First, I was very fortunate to see one of my current favorite musicians, Gavin DeGraw, in concert last week with my friend. I’d been looking forward to this for months, and he did not disappoint in the slightest! Gavin was charismatic, funny, and charming, and he sounded amazing! If there’s anyone out there today who will never need autotune, it’s him. He is also a fantastic piano player, and if there’s anyone even close to a modern “piano man” like Elton John or Billy Joel, it’s also him. I love him for constantly restoring my faith in today’s popular music, and I sincerely hope I get to see him live again soon. 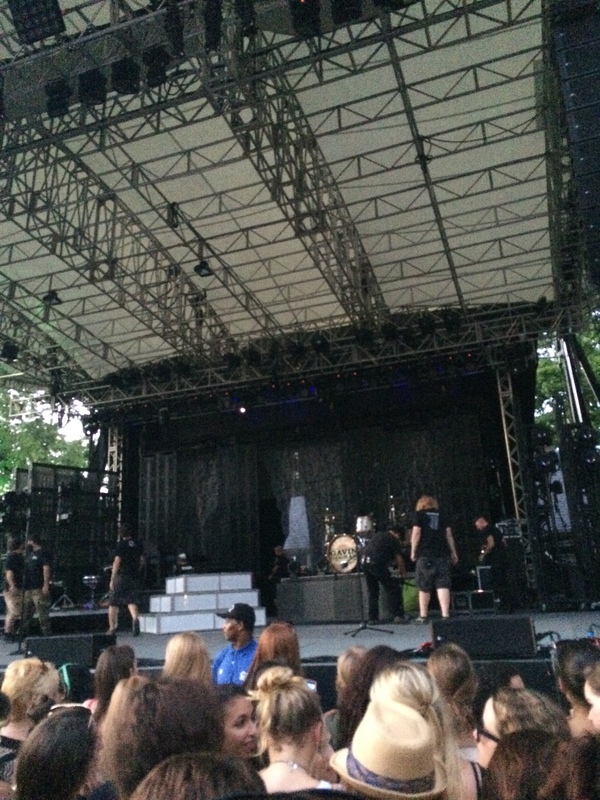 We were pretty close to the stage! I zoomed in, we weren’t actually right in front of him, but it was still really exciting! The two acts who performed first, Andrew McMahon and Matt Nathanson, were also fantastic. I didn’t know any songs by either of them before the concert, but they are now officially on my musical radar! Apparently, Paul McCartney and Kanye West are collaborating. I’m not really sure what to make of this. On one hand, Paul has probably done just about everything on his musical bucket list, so why not collab with Kanye? On the other hand, if this means Paul will be rapping… Well, actually, I’d love to hear that. Who am I kidding? But I hope whatever they come up with will be skewed more towards Paul’s musical senses than Kanye’s. 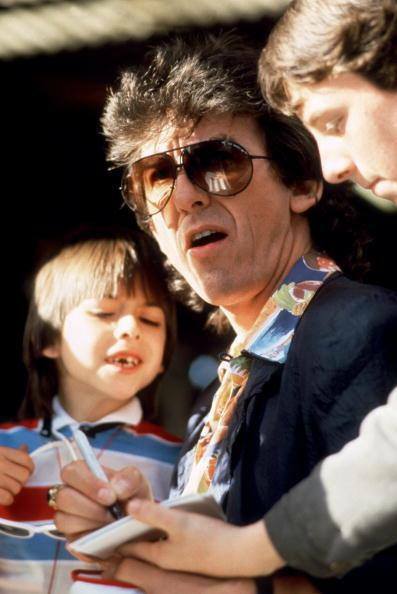 Paul also made news recently for performing the last-ever gig at Candlestick Park in San Francisco, CA. I was reading reviews of the concert recently, and while it sounded like an amazing concert, the highway traffic getting there was so bad that thousands of people didn’t even get to the stadium in time for the concert. Finally, the Emmys are coming up, and remember that Beatles special from way back in February? Well, it’s nominated for… Something technical sounding in the TV special category. I think it’s also nominated for writing for a TV special. Anyway, I’m hoping some Beatle-affiliated people will be there solely for this reason. If this special doesn’t win anything, I’ll have to be content hoping that The Big Bang Theory, The Tonight Show, Sherlock, and The Normal Heart (the only other programs nominated that I really care about) win everything. Should be an exciting evening! Anyway, school unfortunately starts soon for me… 😦 I’m a senior in high school this year. Yikes. Time really does fly. I was a mere sophomore when I started this blog! Though I’m sure it will be a busy year, I promise to continue blogging as often as possible and keep you updated on all things Beatles. 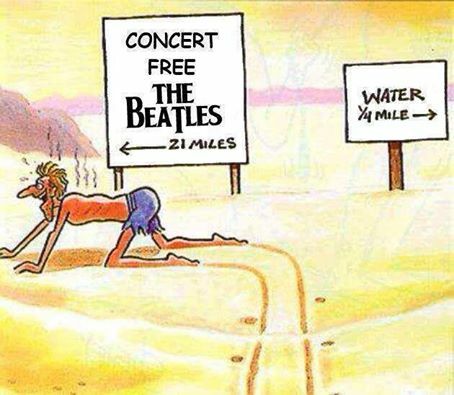 After all, if there’s one thing I’m sure of, it’s that I am never too busy to listen to the Beatles! 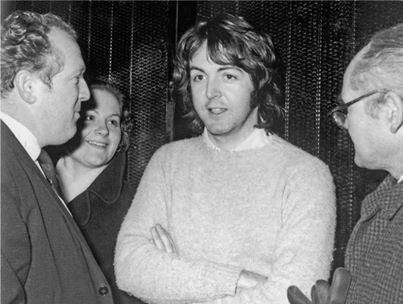 Paul’s hair… That is all. It’s that time of year again where Beatle fans everywhere gather and celebrate Paul’s birthday!!! I’ll try not to make this a repeat of last year’s birthday post, but I will say that in light of Paul’s recent health scare, I’m glad he seems to be doing better. He’s one of those people that has an aura. I experienced that first hand last year when I saw him at the Barclays Center; as soon as he came onstage, the entire atmosphere of the place changed from extreme excitement to a giant outpouring of joy and affection and tears unlike anything I’ve ever seen. As I’ve said before, it was magical, and I hope that everyone is fortunate enough to experience his brilliance in person at least once. Paul is 72 now, but he doesn’t appear to be slowing down anytime soon. I admire his energy and passion for what he does, and I can only hope that I am the same way in my adult years. Obviously I love Paul a lot. Here are a couple of videos that explain why if I haven’t done a thorough enough job. Wow, what a voice he still has! I’m so glad he did this! This, folks, is the best Paul McCartney tribute video on Youtube. It captures his youthful exuberance perfectly. I love how Paul can still relate to the youth of today. Also, as I’ve said before, he and Jimmy are great together. Monty Python is reuniting for a show in London on July 20th, which will be simulcast in theaters around the country INCLUDING one near me!!! I really hope I can go see it. Please forgive me; I watched a few episodes of Python earlier today and I’m in a very silly mood at the moment. A couple of days ago marked the 1 year anniversary since I saw Paul McCartney in concert and he told me he loved me. Let’s relive that glorious moment one more time, shall we? Wow, it really does not seem like an entire year since I saw Paul in concert. The time has absolutely flown by! I could have sworn that it was just yesterday that I was at the Barclays Center, hearing Paul serenade 16,000 of his closest friends. Good times… Hopefully I will see him again one day. I also cannot come to terms with the fact that I will be a senior in high school next year. When I started this blog, I was a mere sophomore, an amateur in the world of college and SATs compared to now. It’s going to get crazy, but I promise to keep blogging! 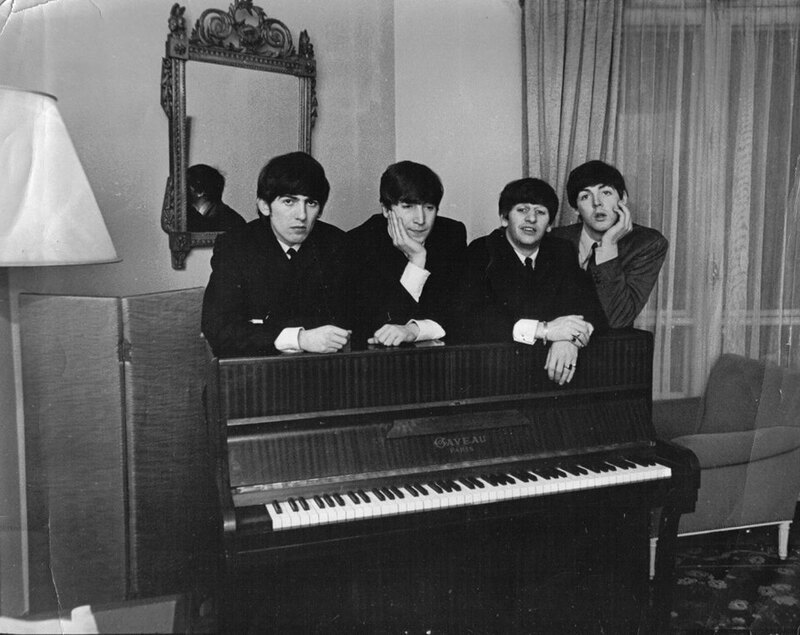 All righty, I think it’s time for those Beatle pictures I promised earlier. Enjoy! In the meantime, have a lovely weekend and enjoy the start of summer!